Tim Richards is the doyen of the UK cinema industry, having abandoned a Hollywood studio career to improve the cinema going experience at the start of the new Millennium. 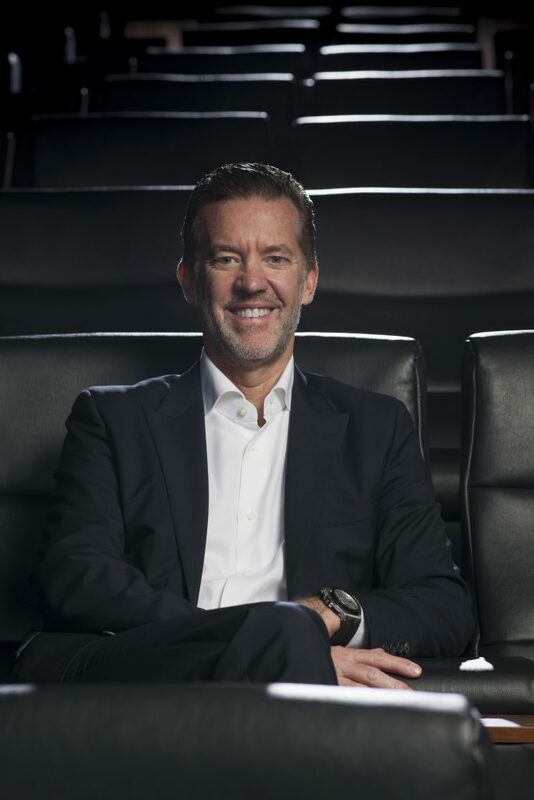 After working for UCI (Paramount-Universal) and Warner Bros., Tim Richards scraped together funding to buy six UK cinemas, with the first opening in Livingston, Scotland in 2000. Two years later he closed the GBP £250 million deal to acquire the Warner Village Chain of 36 cinemas, which became the core of Vue. Since then Vue has changed ownership to the Canadian OMERS and AIMCo funds, which has also enabled Richards to expand Vue across Europe with the acquisitions of CinemaxX (Germany), Multikino (Poland), Space Cinemas (Italy) and JT Bioscopen (The Netherlands) – as well as already having a cinema each in Portugal and Taiwan. 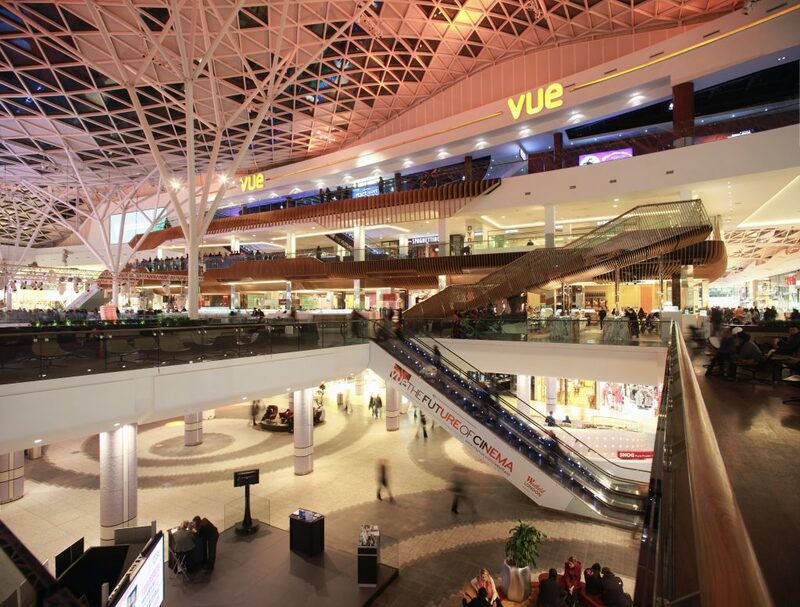 Today Vue is one of the three UK-based European cinema majors, alongside Cineworld and AMC-owned Odeon. Tim Richards lives up to the Canadian stereotype of being polite, diplomatic and not exhibiting the kind of ego that often characterises American businessmen south of the border. Yet his passion for racing 200mph Lamborghinis in the Blancpain GT series also reveals his very driven and focused business nature. In 2005 he was named CineEurope Exhibitor of the Year and in 2016 he was recipient of the Variety International Children’s Fund Humanitarian Award for his work with Hope and Homes for Children. Tim Richards: Sneaking in to see a screening of To Kill a Mockingbird when I was 7 years old living in Brazil. Little did I know then that this was going to be one of the best ever films made and one that has proven to be timeless in its appeal. CJ: What qualities or skills do you feel helps you to be a good CEO of a cinema company? Tim Richards: After having worked for three studios and two New York law firms, I promised myself that if I was ever fortunate enough to have my own company that I would never let ego, personal or corporate, ever get in the way of business. Patience, perseverance, good listening skills and the privilege of working with the best team in the business have all helped drive our success. I also believe being passionate and loving what you do, combined with a healthy competitive spirit is a good quality to have and to share. Tim Richards: The core executive team remain instrumental in the day-to-day operations of the business and execution of the Vue International strategy. The difference today is that now means 211 sites across ten countries. So as much personal contact as possible, face-to-face meetings and of course a lot of travel too. I also try and fit in as many screenings as possible outside of work. CJ: You launched SBC International Cinemas in 1999 after working at UCI and Warner cinemas. Given where you are today, what would you have told your younger self? Tim Richards: Be patient when trying to raise capital. Investors need time to understand your excitement and belief in the business. Focus on a beachhead first and do not try and do too much too quickly. Find the best team you can to join you on your journey, work hard and never take no for an answer. Tim Richards: My father. He was a very successful entrepreneur with incredible interpersonal skills. Tim Richards: The fact that despite the long 115 year history of cinema, cinemas are about to reach a pinnacle golden age. More and more consumers are seeking solace from a fast paced, super-connected and distracting world and cinema still remains an undisputed source of out-of-home entertainment. In today’s world, the cinema still allows people to enjoy uninterrupted entertainment – true escapism in a modern world. Alongside this, the studios commitment to making incredible movies that have been scheduled for the coming years mean that both trends should lead to the second golden age of cinema. Tim Richards: Choice is the biggest challenge. Customers have a lot of choice -not in-home entertainment versus out-of home entertainment, but choice in how they spend their leisure time. 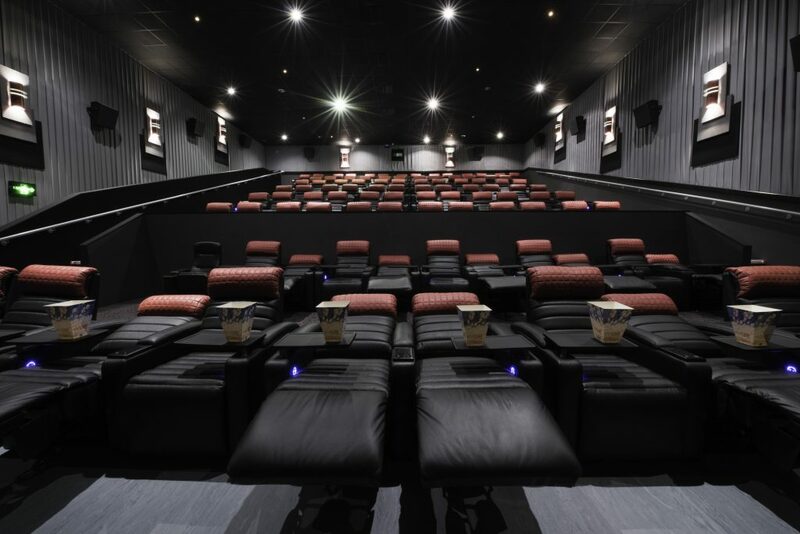 Cinemas have to keep up with innovation and changing technology in a fast moving world. Consumers have expectations, and we need to continually innovate and provide an experience they can’t get elsewhere. Ultimately none of us can be complacent; we have seen what has happened in the past. Our industry functions as any other dynamic industry does and it will evolve in tune with the leisure, retail, travel and sports industries, so we have to get the balance right between providing the best content, in the best environment with the best technology. CJ: What are your thoughts about the consolidation of the cinema industry and the increased globalised nature of it, not least the growing influence of Asia? Tim Richards: Overall, the industry is set for increased consolidation where, in the next three-to-five years, I believe there will be three or four truly global operators emerging and that Vue will be one of them. CJ: Vue is a family of pan-European cinema operators (CinemaxX, Multikino, Space Cinemas and JT Bisocopen). How do you enable your senior managers to exchange ideas, experiences and communicate strategies across such a vast network? Tim Richards: We utilise technology alongside face-to-face meetings. We actively encourage the sharing of best practice and insights and there is a clear strategic intent driven from Vue International across all management teams with regular territory visits. CJ: What is it like to have Ontario teacher pension funds as owners (as a Canadian yourself) and what strategy do they want to see for the future growth of Vue. Tim Richards: We have a great relationship with our long term shareholders in OMERS and AIMCo who continue to be extremely supportive of our vision for the company and our strategy – which is built on both organic growth and strategic acquisitions. CJ: Are there specific regional challenges within the Vue family of companies and how are they being addressed? CJ: Do you see Brexit as having an impact on the future running of Vue? Tim Richards: Our industry has proven to be counter-cyclical and more resilient to economic fluctuations than many others, often showing improved results in times of uncertainty. As a company spanning ten countries we are also geographiocallly well diversified. Tim Richards: Technology is really important for us before, during and after a customer’s cinematic experience. We have millions of followers and subscribers across Facebook, Twitter and Instagram and it’s important to offer our customers social connectivity, and a great mobile experience across all channels. We also use many film sites and search engine platforms to drive transactions to our site. An interesting area of future expansion for us is message platforms and we have great opportunities with Facebook Messenger and Whatsapp. Tim Richards: We partner with a range of experts to support our internal teams and we have recently launched new digital and CVM products and strategies. As a business we want to improve the real-time and long-term customer experience and increase the customer lifetime value to develop a single customer view. A well executed digital and data strategy creates a mutually rewarding relationship between Vue and our customers generating value for both parties. It has always been important for us to never assume we know what our customer wants or needs. Tim Richards: Away from the detailed insights, in large we have to main groups of customers – those that really do like to forward plan and book their seats way, way in advance and those that can’t commit until a few hours before the film starts! Understanding even this basic insight and segmentation allows us to communicate at the right time, with the right information via the correct channel. Tim Richards: Yes! 2017 is set to see some great movies, continued evolution, industry consolidation and growth. We are also entering the golden-age for cinema with demand for our industry increasing where Cinema is a panacea for the super-connected, demanding, fast-paced world we all inhabit. Tim Richards, CEO of Vue, Canadian, speed racer and humanitarian.